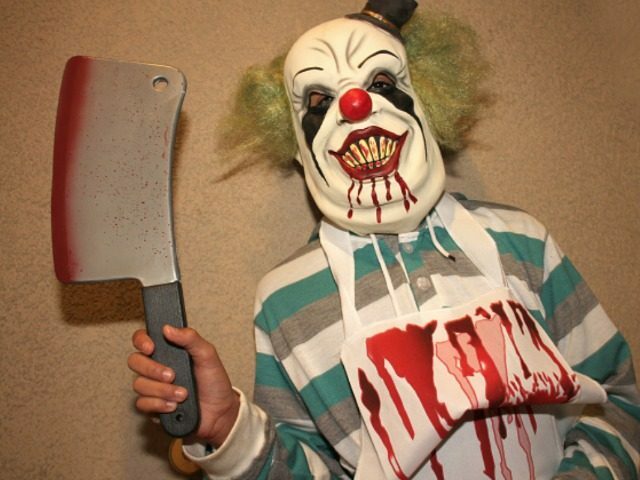 COVINGTON, Louisiana – A Louisiana police chief says he is taking rumored incidents of clowns luring school children into wooded areas very seriously, telling pranksters they would be charged with “terrorizing” the community if caught. Covington Police Chief Tim Lentz wrote in a letter to the public that there “seems to be a phenomenon going around the country involving clowns and kids,” referring to cases in South Carolina where unknown clowns were persuading children into wooded areas, as Breitbart News reported. Lentz said at a local Louisiana school, four elementary students claimed they saw a clown in the woods near their school. Nonetheless, the students later admitted they had made the incident up after hearing about other cases on the Internet. But, that’s not keeping the police chief from taking the matter seriously. “If there is someone out there that thinks this is some type of fun prank that gives you attention you so strive, let me warn you now, that if you do ANYTHING that disrupts the safe learning environment for our kids, we will find you and charge you criminally with all of the laws at our disposal up to and including terrorizing,” Lentz wrote in his public message on Facebook. “We are not clowning around,” Lentz ended the message. Months ago, nearly 30 children living in an apartment complex told police officials in South Carolina that they had spotted clowns enticing them to go into the woods. Then, just weeks ago, Breitbart News reported an incident where a man dressed as a clown had traveled across multiple states, threatening to abduct children from schools specifically in Georgia. In Louisiana, there have been no credible reports by law enforcement officials of clowns luring children into woods.